Thrillist.com named Utica's Union Station one of the most beautiful train stations in the United States in 2015 — and it's readily apparent why once you see photographs from weddings held there. 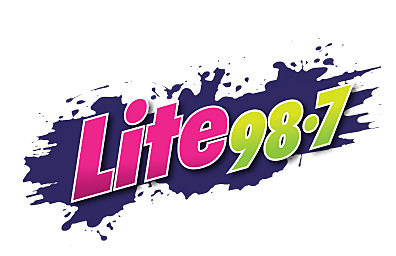 Do you work with Lite 98.7? Let us treat you and your coworkers to delicious lunch and other goodies! Think you’re the top football expert in Utica? Make your picks here for every regular season pro football game this year. Listen to us weekdays through Nov. 22 for our daily code words. When you hear a code word, enter it right here, and you might just get the call letting you know you've won $200 to $5,000 with the Cash Code. Did you get an alert on your phone? AT&T customers were sent an emergency alert system message saying 911 was unavailable due to a system outage. Every weekday in November (except Thanksgiving and Black Friday) there's two chances for you to win $1,000. Just listen for our Christmas Cash Cue To Call and be the 25th nationwide caller at 1-877-854-9467. Here's the times for the 1st week to play Christmas Cash. On October 22nd, meet Travel Channel’s Gettysburg Ghost Gals at our Herkimer Crossroads Haunted event. They are America’s all female Paranormal Team. We got to chat with them this week and get to know them better. There's a new voice to keep you company at work - say hello to Naomi Lynn.